Einstein’s general theory of relativity may break down because of a strangely shaped black hole. This type of object can only exist in a universe that would have five or more dimensions. A team of Cambridge and Queen Mary researchers succeeded in simulating a black hole that is shaped like a thin ring, which gives rise to multiple protuberances attached by strings that become thinner with time. Eventually, the strings become so thin that they pinch off into a sequence of small black holes, in a way that is comparable to a thin stream of water breaking up into tiny droplets. This kind of ring-shaped black holes was initially discovered in 2002, but their dynamics have only been simulated successfully on supercomputers now. 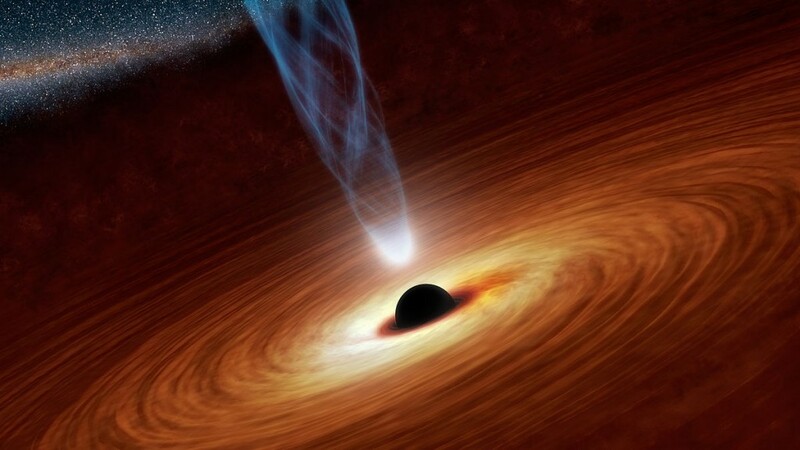 If this kind of black hole forms, the appearance of “naked singularity” would be imaginable. Today, everything we know about gravity is based on Einstein’s theory – from the estimations of a star’s age to GPS signals. The theory of relativity states that matter bends its surrounding space-time, and gravity is the resulting effect of the distortion. The theory has been published 100 years ago and it had passed every test that could prove it wrong. One of the theory’s limitations, however, is the existence of singularities.